Miele delivers a cleaning power unsurpassed by other vacuum cleaner brands. Miele Sales, Service, And Repair - Coral Springs, FL. Gator Vacuum Sells, Services and Repairs Miele Vacuums. Buy replacement Bags, Belts, Parts, Accessories and more. 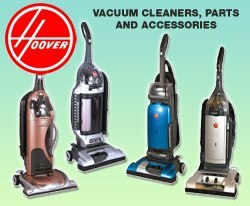 Click Here to buy online with our affiliate, ThinkVacuums.com. Miele has launched several series of vacuum cleaners on the profile market, differentiated mainly by the size of the products and their features. Of course, there are also a few similarities between the vacuum cleaners of different series, but the main similarities remain between those of the same line. The introductory series of Miele canister vacuums is the S2 series. 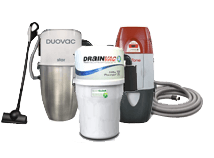 These vacuums are the least expensive but also the simplest in terms of construction. Uniquely manufactured, the S2 appliances lack the sealed filtration system available with the subsequent products. This sealed filtration system is actually one of the pillars Miele’s reputation is built on. The disposable bags also differ from those used with the vacuum cleaners of the other series. Of course, some of the features are characteristic of Miele, so they cannot lack. High power is one of them, so the S2 series offers high power for low costs. All S2 models feature three controls and rotary dials for the adjustment of the suction power, as well as a vario clip for the tools. S5 Miele canister vacuums have a series of upgraded features, one of them being the electric powerhead. Therefore, their performance on carpets is higher than the one achieved by the vacuums of the S2 series. The much-applauded HEPA filter is present with all vacuums of the S5 series except the Aries model, but there are also optional Super Air Clean and Active Air Clean filters included in the package, so users can take their pick. The vacuums of the S5 series are all the same size and equipped with the same onboard tools. Most of them feature six suction power levels, except the Earth model, which only has three levels, and have rotary dials, except for the Leo model, which features foot pedal controls, and the Capricorn model, where the controls are on the handle. The S5 series is followed by the Miele S6 series, which includes even more advanced vacuums. The main improvement is in the filtration system, which is a 12-layer Air Clean sealed system with an efficiency rate of 99.99%. The impressive filtration system is accompanied by a very practical design, these canister vacuum cleaners being very lightweight and easy to transport, and a number of innovations which include a very powerful motor. The S5 appliances also have six suction power levels and come with a standard floor brush, a turbobrush, and a parquet floor brush. However, the pinnacle of performance and convenience in terms of canister vacuum cleaners is the Miele S8 series, which includes lighter, more efficient and quieter appliances than those of the previous series. The filtration system is the same as the one encountered with the S5 models and the suction power level can also be adjusted. All these Miele canister vacuums have six power suction levels and foot pedal controls. Some of the innovations include the dynamic drive wheels designed to absorb impact, the 3D bumper or the handle spotlight. Miele manages to give a whole new meaning to the terms “performance” and “convenience” by building their products based on the vacuuming trends of the past eighty-four years. Miele canister vacuums, in general, are known to set the standards in terms of floor care, reflecting the German precision and sense of quality.